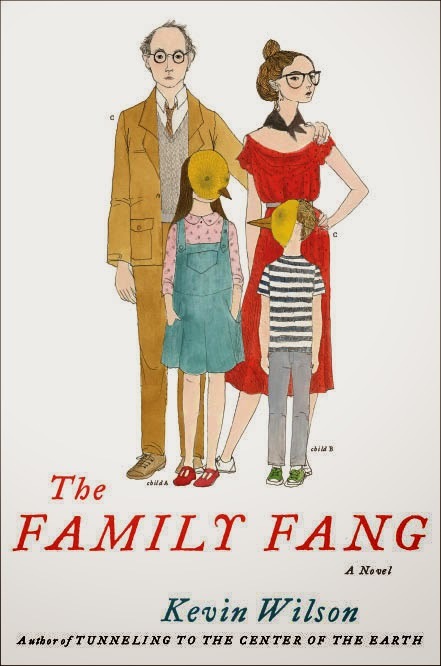 Two and a half years ago I posted the news that Nicole Kidman had acquired the film rights to The Family Fang, Kevin Wilson's 2011 debut novel. At the time I wasn't even sure who Kidman would play. Now we're learning, via onlocationvactions.com, that filming has begun in the NYC area, and that Kidman has died her hair dark brown for the part. She'll play Annie Fang with Jason Bateman on as Buster, Annie's brother. Actually the comic actor is also on as director - Kidman was reportedly so impressed with Bateman's feature directorial debut Bad Words, she hired him for The Family Fang. Christopher Walken [he's gonna be Captain Hook too!] is set to star as their father, Caleb Fang. Not sure who is playing his wife Camille. I can't see how this will be anything but fabulous. We know Bateman and Walken have funny chops, and it's time for Kidman to have another go at the genre. The screenplay was written by David Lindsay-Abaire whose excellent script for Rabbit Hole [based on his play] helped earn Nicole Kidman an Academy nomination. Here's a refresher on the material from the author's website. Oh, now *this* has me more excited than any other recent piece of movie news. THis was such a fine novel and I'm trilled for Kevin that his book seems to be in such capable hands. I enjoyed this book from start to finish, laughed many times and I’m glad to learn Oscar winning actress Nicole Kidman will be directing a film based on the movie.